If you’re in need of some entrepreneurial inspiration, you’ve come to the right video. 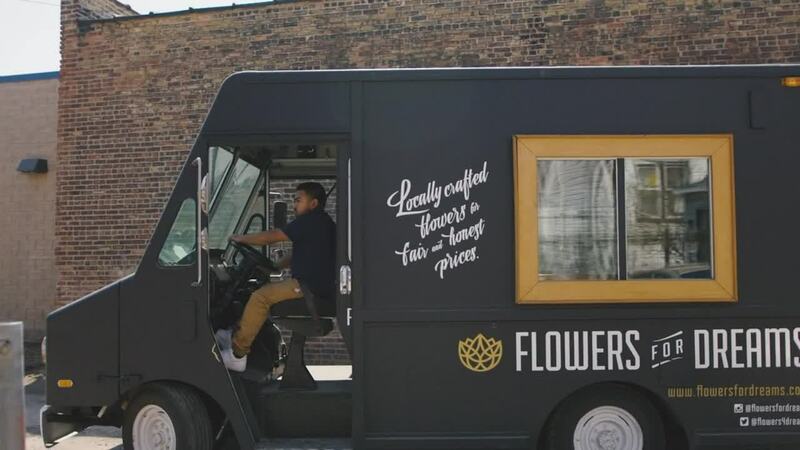 Meet Steve and Joe, college friends who went from bootlegging flowers to chatting up Megyn Kelly on the Today Show about their Chicago-based business, Flowers for Dreams, a florist shop with a mission. Not content to just sell flowers, Steve and Joe contribute a portion of their company’s earnings to local charities, like Chicago Public Schools. Best of all, their 180+ employees suggest charities to consider and they all vote on which ones to partner with. See how Paycor helps Flowers for Dreams make a difference. Steven Dyme: At Flowers for Dreams it’s very important to us to create an experience worth sharing. We were college kids we sold flowers at graduation ceremonies, every bouquet we would sell we would donate a backpack with school supplies to a local Chicago public school student in need. Jo Dickstien: Steven and I were buddies in high school, and when we went off to college he went to Wisconsin Madison and I went to Indiana in Bloomington. He called me up and was like: Jo I have this idea for us to be able to operate during the summer months of college, I think you’d be great for it. Let’s do this venture together. Steven Dyme: It started really just as flower peddlers. We both wanted to make some extra money, we both had unpaid internships by day. We became really genuinely passionately interested in flowers and what we were doing and the bouquets for backpacks model that we had kind of launched. But at its core, at Flowers for Dreams we sell locally crafted bouquets, really high quality generally local arrangements and every single bouquet benefits an amazing local charity. We give one quarter of our profits every month to a different organization in our community. Jo Dickstien: We do everything handmade. The card writing, the design, the packaging, the sourcing, the processing, the delivering, and so there’s so many components that can break down when just dealing with people, and we don’t want to print out our cards, we don’t want to outsource our design, we don’t want to outsource our delivery. We wanna be able to control the whole step of the process and that’s what we think makes us unique. Steven Dyme: The reality is we, like any startup, Jo and I weren’t finance people in fact weren’t business people, so we were using a lot of disparate systems and disparate vendors to handle some of our back end, our accounting, our payroll. It’s funny to almost look back to see just how inefficient it really was. Sandy Nuccio: I came in to a crazy situation and I think it’s a startup company so they just kinda pieced together a lot of different systems as they felt that they needed them. So, we had three different systems, they didn’t talk to each other, there was no importing exporting features, it was a mess and administratively very time consuming. So, when we got Paycor that was one of the main reasons that we looked for a system and Paycor really was great in that we could encompass all the needs in one place. Jo Dickstien: We ultimately wanna grow into many different cities, and ultimately Paycor is the one that helped us organize all of those different components into one technology now just managed by one person, so the other tens and tens and now fifty plus people can work on growth. Steven Dyme: Now that we have been using it a year and a half, two years later, we see this is another step in a step ladder, this actually can be the solution as we grow from thirty to more and more hundreds of employees. So that’s really important that we find the vendor that not only fits us today but fits us for the future. I think all companies are seeing why it’s so important to authentically integrate giving or integrate volunteer ship. Paycor’s tagline that you want to make a difference so do we is perfectly aligned. It’s almost as if its speaking to us. Yes, we want to make a difference, we have built it into our DNA, how nice is it that we can find a vendor that fits our business needs and has the exact same motto, mantra, and values.